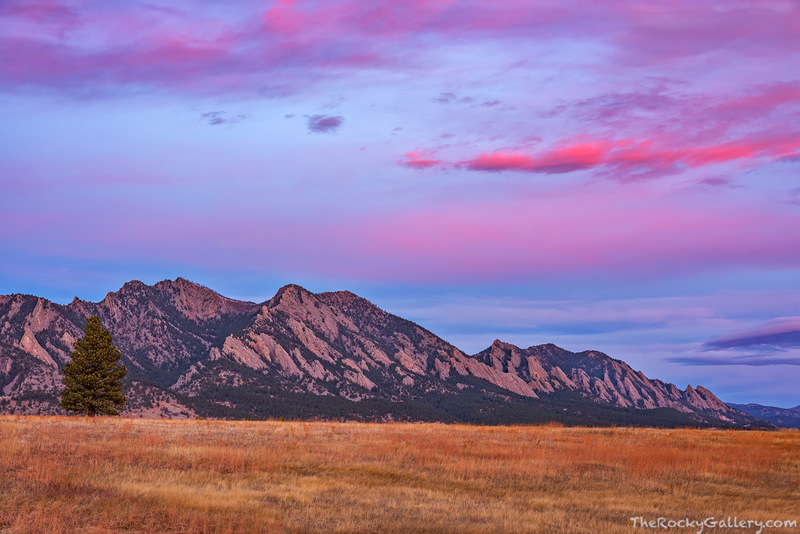 Colorful autumn skies drift over the Flatirons at sunrise. This vantage point near the Flatirons Vista trailhead located just south of Boulder, Colorado gives a commanding and open view of the entire Flatiron Formation. Photo © copyright by Thomas Mangan.